My name is Lesley Storts and I’m enjoying my takeover this week on 52 Quilters! I’ve been quilting for over 18 years. I started quilting right after my first child was born. My mom had been quilting for a couple of years, setting a good example and I was finally ready and had time to take the plunge. Utilizing the library, I checked out a lot of books and looked at the patterns and beautiful pictures. 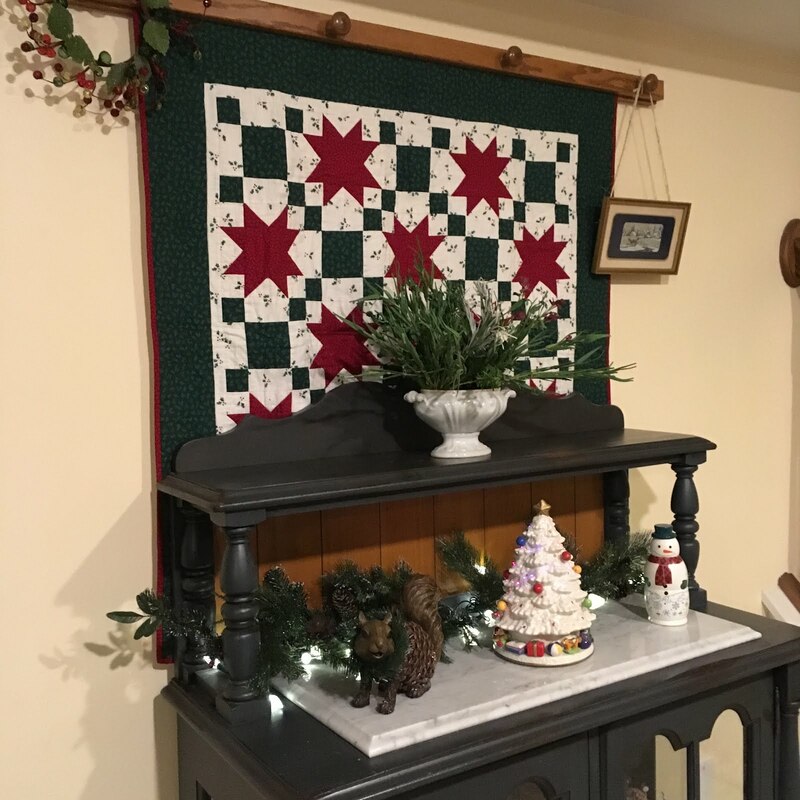 I found a simple star and 9 patch block pattern, changed the colors and fabric to a Christmas theme and made a quilt. I still use that quilt! I’ve learned so much since then, but I still love it and all that it represents. In my quilting journey and becoming a better quilter, I decided I would share with you a couple of tools and techniques I’ve become acquainted with in the past year that have immensely improved my quilting. 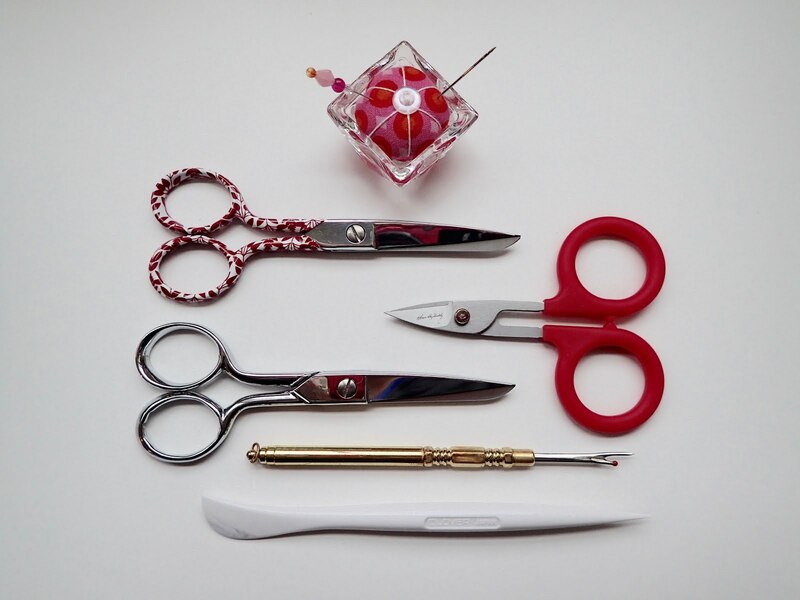 Quality scissors are a must and the red scissors, on the right, are made by Karen Buckley. I’ve purchased several different scissors made by her, but the curved scissors are my favorite. The have a slight lift upward at the tip. When you are clipping threads on your quilt, you can get really close without jabbing a hole in the quilt. Additionally, they have a finely serrated edge which grabs the threads. You can find these scissors on Craftsy or watch MassDrop because they occasionally offer them for sale. Have you ever heard of a spiral eye needle? 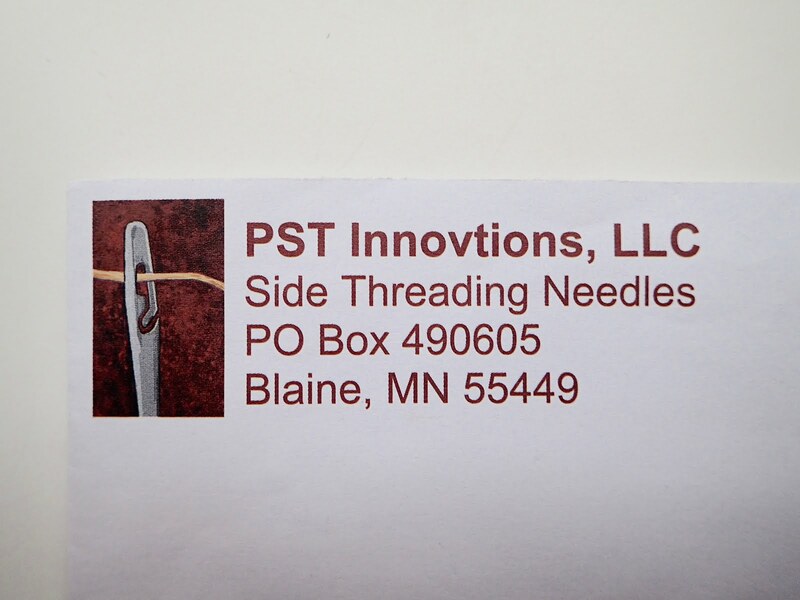 It is a needle that threads on the side. I purchased them online here. I was introduced to the spiral eye needles through a fellow guild member when we had a demo at our meeting. The idea of burying threads in a machine quilted quilt was new to me. 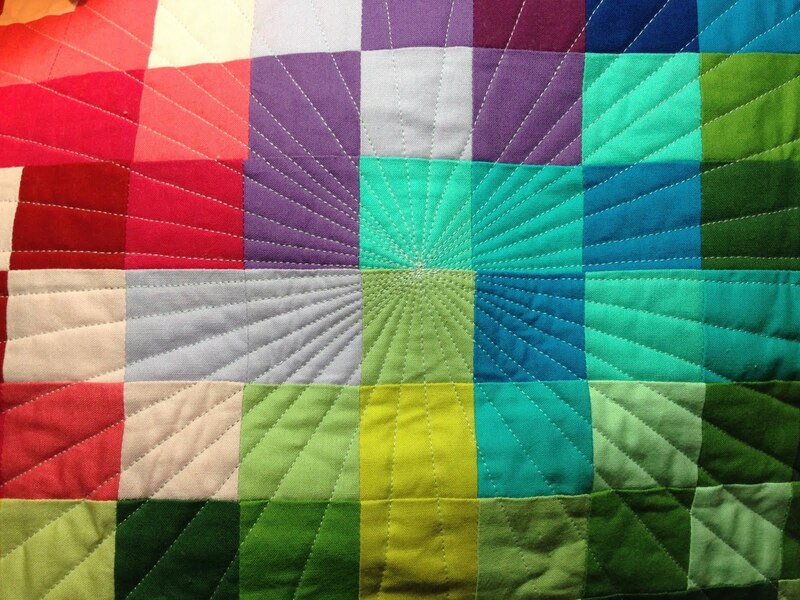 With this technique, my quilts immediately improved! 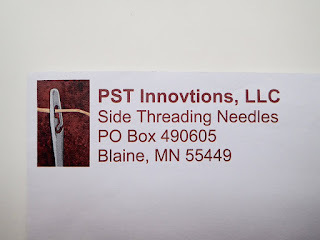 I use to just pull the bobbin thread up, then holding the thread, place 2-3 stationary stitches. It was an okay technique for starting in the middle but almost always left nests on the back of my quilt. I knew there had to be a better way. Threading the needle for dozens of threads was tedious but worth it. Now that I have the spiral eye needle, it’s even faster. The image below is the from the first quilt that I buried threads. I would not have been able to be successful with this type of quilting without burying the threads. The Clover Hera Fabric Marker is another "must have" that I use constantly while sewing, and especially quilting. I prefer to not use any pen, chalk, etc. when marking my quilt if I can use this fabric marker instead. To make the above lines on the yellow, I lined my ruler up and scored along the edge. You can even see some score lines on the green fabric where I sectioned off the block. The opposite end has a blunt point which is also useful. The Ghingher scissors are a favorite and so sharp. And the golden picker - that’s my nickname for it - is actually brass and is weighted just right. 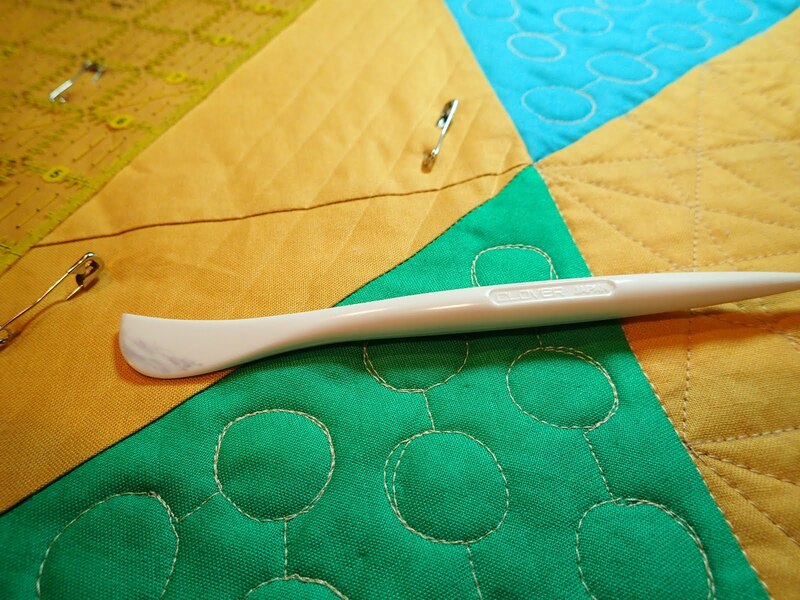 But even better, it is the sharpest seam ripper I have ever owned. Absolutely indispensable! It is available on Amazon. Do you have a favorite tool or tip? I love learning from others and would love to hear from you! You can find me at my personal blog at StortsMarket.com on Instagram @lesleystorts and @stortsmarket, and also on Twitter @lesleystorts. Hi Rebecca! It took me several hours to perfect my threading technique and making the knots close to the fabric, but now that I have it, it is amazing how fast I can bury the threads. My friend who showed me those needles actually timed herself and she can bury 3 thread sets per minute!